Although commonly referred to as the lemonade diet or master cleanse, the cayenne pepper diet is another term gaining popularity among the master cleanse community. 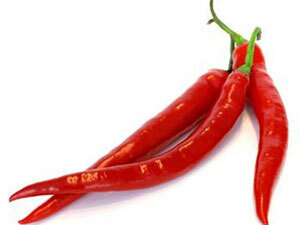 Cayenne pepper derived from the capsicum plant is an extremely beneficial component of the lemonade cleanse. A natural cardiovascular stimulant, cayenne pepper enhances blood circulation thus greatly aiding in blood detoxification while on the cayenne pepper diet. A popular ayurvedic medicinal herb for thousands of years, cayenne pepper has been prized for having super natural healing powers. Ancient folklore credits cayenne with healing everything from allergies, abscesses, kidney problems, psoriasis, and even reversing the onset of heart attack symptoms. Cayenne pepper can be used in several different condensed forms, including cayenne pepper pills, cayenne capsules, cayenne liquid extract, and cayenne pepper powder. These condensed versions of cayenne are great for use in the cayenne pepper cleanse. Some dieters are not fond of the taste of cayenne pepper or cannot tolerate the heat associated with the taste of cayenne, so they opt for consuming the cayenne pepper pill while doing the cayenne pepper cleanse. For more information on how many cayenne pills to take while on the cayenne pepper diet, check out Cayenne Pepper Pills & The Master Cleanse. This entry was posted on Wednesday, July 6th, 2011 at 4:25 am	and is filed under Lemonade Diet Blogs. You can follow any responses to this entry through the RSS 2.0 feed. You can leave a response, or trackback from your own site. Great information on diets and weight loss! I also like the lemonaide diet. I feel that deep cleansing diets work well also. Your thoughts? Yes, cleansing diets are very beneficial at helping the body heal itself from the inside out. wow i don`t know that a cayenne pepper has been prized for having super natural healing powers and I very glad for knowing that right now……great information…..